Doubt, worry, and fear are the three great thieves, robbing us of joy, happiness, success, and prosperity. 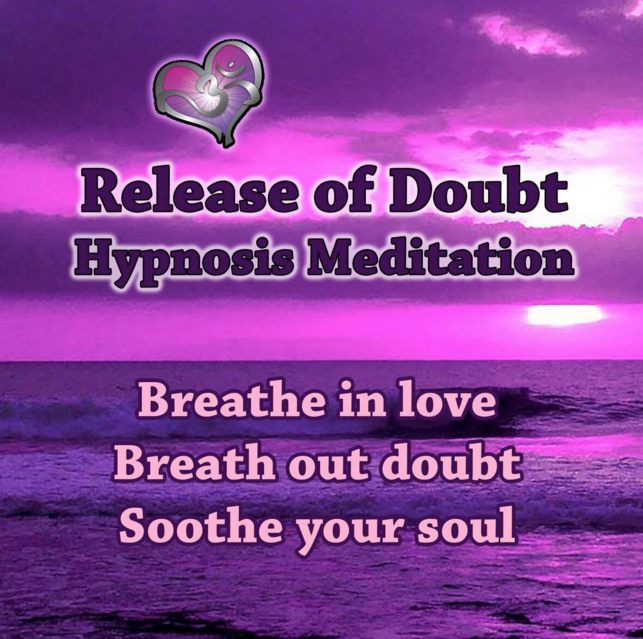 Through the hypnotic deepeners and soothing background sounds, you will find that all that does not serve you will be released from the cells of your body as you listen to the Release of Doubt Hypnosis Meditation. The power of hypnosis and meditation together will implant messages of well-being, security and serenity will you effortlessly relax and enjoy this time you are gifting yourself. With a mind free of worry and doubt, you will achieve better results in all you do as you focus on solutions and feel a greater appreciation for life. Meditation is good stuff and you will LOVE how you feel when you meditate.